Hide deals from seller "Danny Z Entertainment"
Hide deals from category "Live Music"
Limit 1 per person and 1 per transaction. Valid on 1 general admission ticket to Alan Jackson and Neil Diamond tribute concert June 30, 2012, at the Des Plaines Theater. Visit the Des Plaines Theater website for more information. Promotional value expires June 30, 2012. 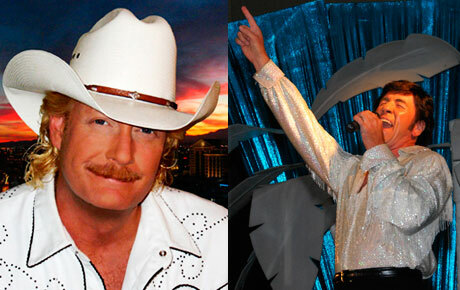 Enjoy a night of country and rock 'n' roll with 50% off a general admission ticket to an Alan Jackson and Neil Diamond tribute concert produced by Danny Z Entertainment ($20 value). This concert will be held at the Des Plaines Theater at 8 p.m. on Saturday, June 30, 2012. Danny Z Entertainment is a productions company with a great love for The Rat Pack and for live entertainment in general. This tribute concert features musician Doug Brewin, who performs songs recorded by country music star Alan Jackson and aims to capture Jackson's look and sound. Denny Diamond is one of the top Neil Diamond tribute artists, performing with a voice distinctly similar to the world-famous rock 'n' roll artist. Both musicians will perform at the beautiful Des Plaines Theater, which features impressive acoustics, high ceilings and art deco beauty. These two talented musicians, coupled with an amazing venue, are guaranteed to provide a fun, high-energy performance. An entertainment productions company based in the Northwest suburbs.